The University of Wisconsin football team is in Orlando getting ready for the Capital One Bowl. 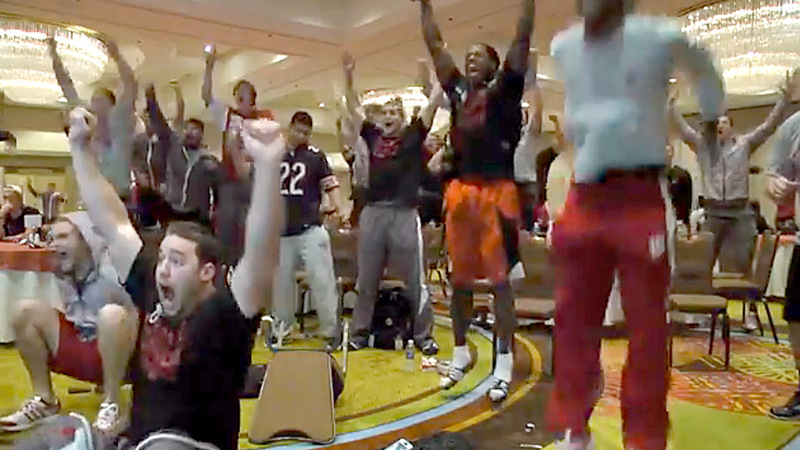 They got together at their team hotel Sunday to watch the win-or-go-home Packers-Bears game. The video below of the team reacting to the 48-yard, game-winning TD pass from Aaron Rodgers to Randall Cobb with just 38 seconds remaining is pretty great. While most of the players were extremely happy with how things played out, one guy in a Matt Forte jersey was not impressed.